Asynchronous communication is when students make a posting to a conference and then others respond to that posting later. It does not happen real time. Because the postings stay there until somebody removes them, students tend to put a lot more thought into what they are saying than in a discussion that is synchronous. Synchronous communication is when students communicate in real-time such as when using chat or messaging. Students tend to rush synchronous communication but it can come in handy for quick conferencing or problem solving. There are several programs and modes of communication that you can use to engage students. We use email, FaceTime and iMessage to communicate with students and their parents. Instead, we use the messaging feature on the iPad. In Zoom students can complete assignments, join forums, work together in a group, and complete a host of other activities. Using Schoology is more than just putting information online, it goes a big step towards putting the classroom online. 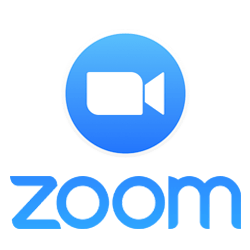 Zoom is a completely synchronous learning environment where students can go online in one-on-one, small groups, or whole class situations. It is good for students to have a microphone as audio is supported. A common whiteboard makes this and excellent place for online lessons. One of the features of the iPads is the ability to use FaceTime – this is a very handy interface for students to connect one on one with their teacher if they need any help with their work on a Cyberday. Finally, the ultimate synchronous communication, live interaction, is always an option with our program. If students need to see us in a face-to-face meeting to clarify a lesson or get help with an assignment, they are welcome to come to school. Students email or phone to notify us they are coming to school and we have them phone home before they leave the class to return home. Of course, all this can happen much more effectively thanks to the 1 to 1 laptop program funded by School District 42. Every student has the use of an iPad, both at home and at school, for the school year.